If you haven’t heard, the ski train from the newly renovated station in downtown Denver to Winter Park has started up again… Or as my Uncle used to say “Vin-tah Pahk.” Images of Bing Crosby & Danny Kaye hopping onto a train in the movie “White Christmas” flash through my mind. The idea of getting away from stop-and-go traffic and instead traveling on an iron horse just sounds so magical. So, what are America’s best ski resorts by train to visit for a long weekend? The East Coast has one of the most extensive rail networks in North America. 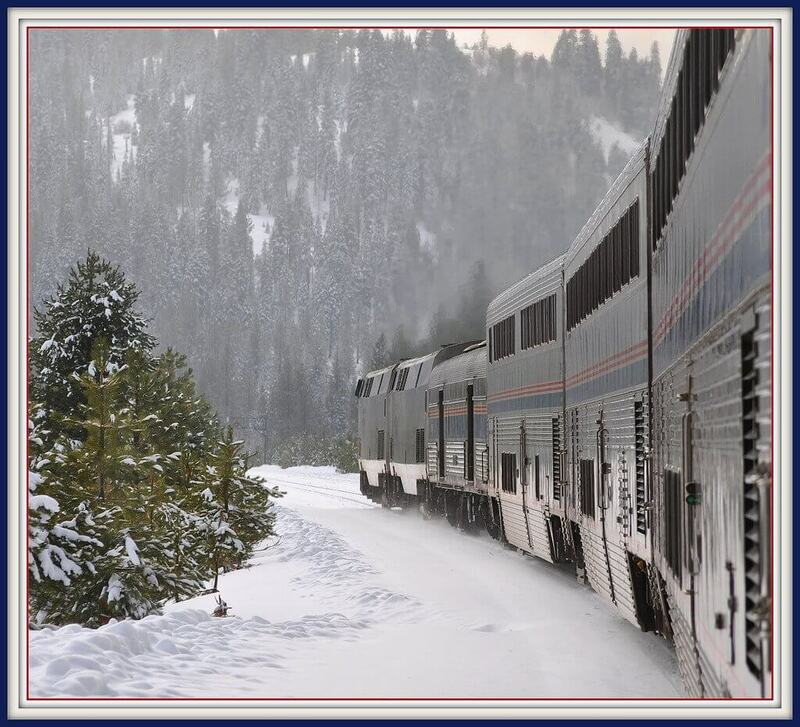 From New York, Boston, Philly or even DC, you can get to multiple ski resorts via locomotive. One of the most magical on the list is Smugglers’ Notch. 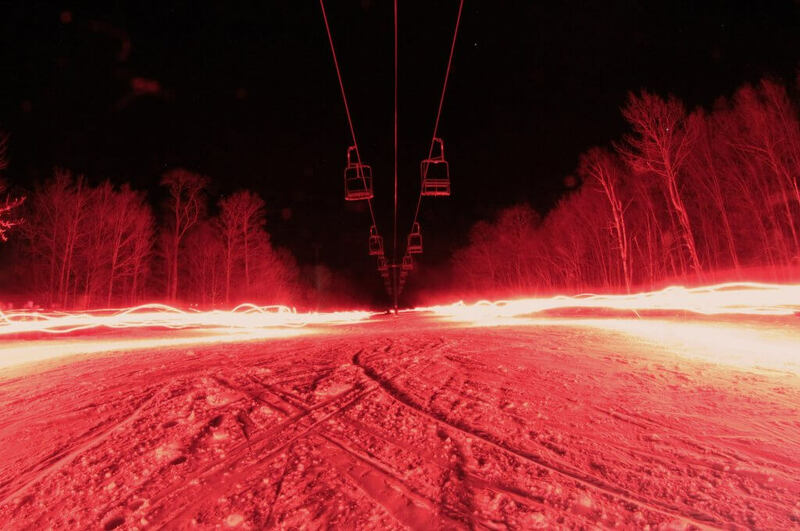 Laying across three distinctive mountains (Morse, Madonna, & Sterling) and having trail names such as “Rum Runner,” “Hangman’s Noose,” and “The Black Snake” that were derived from smugglers who frequented Smugglers Notch during the War of 1812, it has a deep history AND amazing skiing to go with it. If you do stay at the resort, transfers can be arranged from the train station in Essex Junction to your lodging. At the resort, guests can easily go car-free; a complimentary on-call shuttle service operates within the Resort Village, while the Mountain Shuttle loops between the Village and the upper mountain base area. Following the original route of the Great Northern Railroad, the route winds its way through the towns of Gold Bar, Index and Baring. Near the 4,000 foot summit, you travel into the Cascade Tunnel. This is the second longest in North America. After which you’ll arrive in the beautiful Bavarian town of Leavenworth and the new Icicle station. There is no place like Leavenworth during the Christmas season. The town is dressed-to-the-hilt for Christmas. Expect to see chestnuts roasting on an open fire, carolers strolling the streets, food booths, sleigh rides, local crafts, outdoor entertainment and more. At dusk, everyone gathers to sing “Silent Night” and witness the lighting of the village. 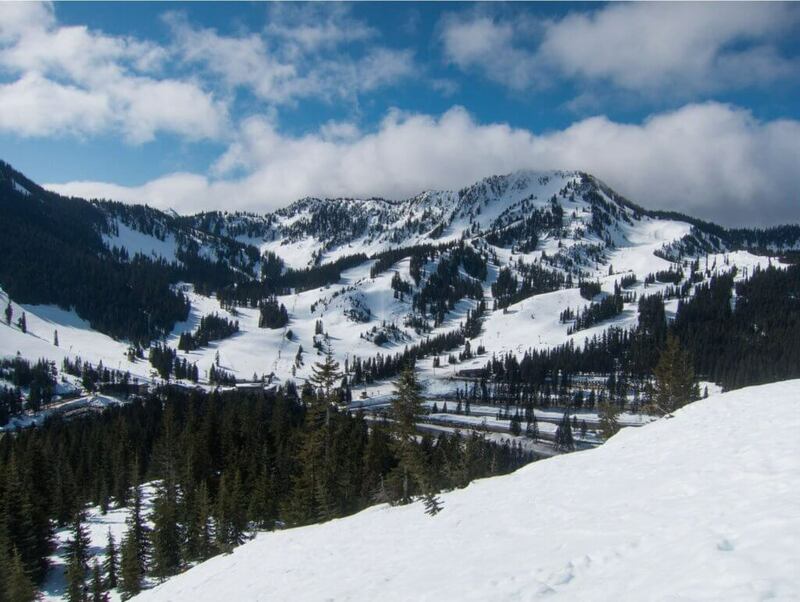 If that wasn’t enough, you have two ski resorts to check out: Stevens Pass and Mission Ridge. With Stevens Pass averaging 460″ of snowfall covering 1,125 acres of skiable terrain across two mountains, there’s a lot of options to get some powder skiing in. If you’re looking for Colorado-like skiing, head to Mission Ridge. 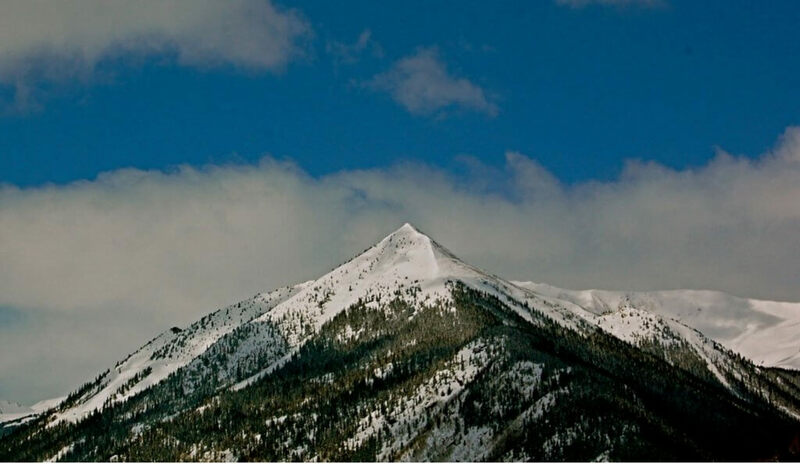 Located on the east side of the Cascades, the snow is drier, and with over 300 days of sunshine, you’ll be guaranteed to get your fix of Vitamin D. While staying in Leavenworth, don’t forget to arrange a spot on the local shuttle to get to/from the ski resort – it’s as easy as that. The transcontinental railroad revolutionized the settlement and economy of the American West, connecting the eastern railroad network via Omaha all the way to the seaports in Oakland/San Francisco. To make the final journey over the Sierra Nevadas, Truckee’s rail yard was established as the place to get additional engines to help push over the summit. The extra power may no longer be needed, but it’s still used as your gateway to all the ski resorts in the Lake Tahoe region. 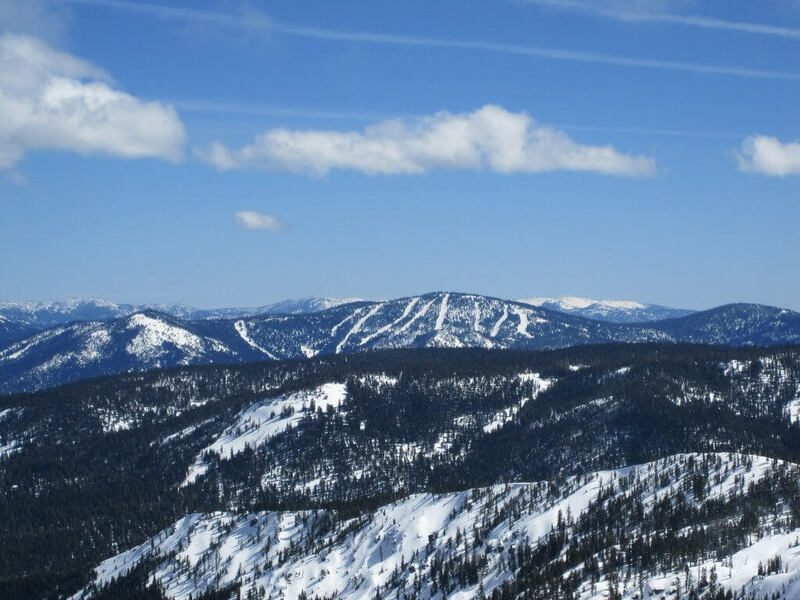 The closest large ski resort to Truckee is Northstar. With over 3,000 acres and averaging 300+ inches a year, it’s a great option when taking the rails from the Bay Area. If that wasn’t enough, there’s a ton of affordable shuttles from downtown Truckee to each of the ski resorts in the region. The oldest “Ski Train” may be on the East Coast, but Colorado has a ton of history when it comes to ski trains. One of the longest running was the route to Winter Park from 1940 until the 2008-09 season. Reinstituted for this ski season, the engine climbs over 3,960 feet across 56 miles to the Moffat Tunnel finally arriving at the Winter Park Station. Winter Park itself is also the longest running resort in Colorado with over 3,000 acres, 29 feet of snowfall, and an uphill capacity of 40,000 riders per hour. This will help you spend more time on the slopes and less waiting in line. Even if the golden era of ski trains has passed, there are still resorts you can visit by iron horse. 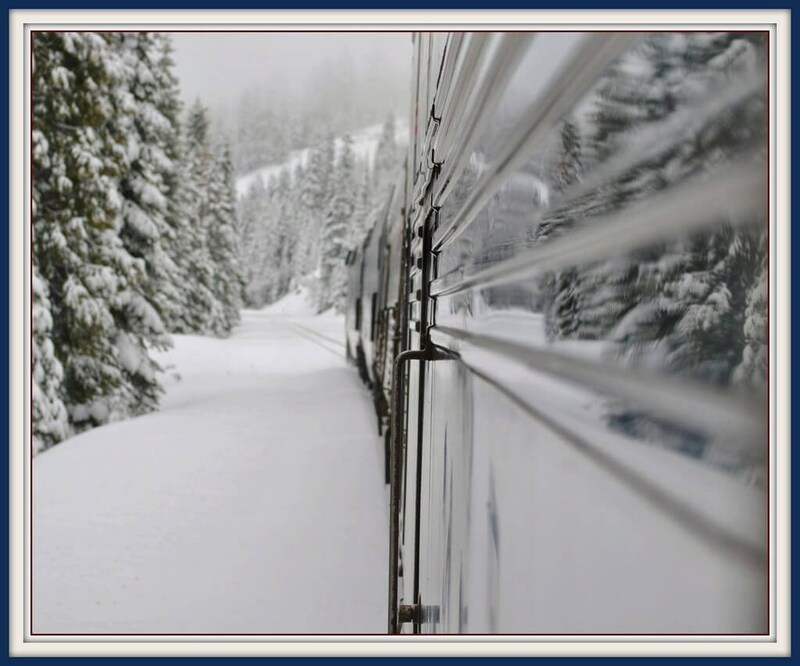 We usually think of driving or flying to a destination, but don’t forget the Choo! Choo!… It could be a fun twist to add to your season. Whitefish, MT is still the best and only train worthy destination!